The military doctrine of submarine-based security is being exposed by underwater drones. But will the British state change course? HMS Victorious. Wikimedia Commons/UK Ministry of Defence. Public Domain.The debate in Britain over the renewal of the Trident nuclear-missile programme continues to develop, despite great efforts to close it down. One issue in particular is of deep concern to the authorities: whether the oceans are in the process of becoming transparent. If the submarines which carry the missiles become detectable, they will no longer constitute a secure nuclear force (see "Britain's deep-sea defence: out of time? ", 3 March 2016). Much of the technical work on this issue is being done by the British branch of the Pugwash movement. Some succinct briefings have also been published by the British American Security Information Council. The leading conclusion is that a variety of new technologies, detailed in earlier columns in this openDemocracy series, point the way to much greater transparency, not least with remarkable developments in unmanned underwater vehicles (UUV). The process is boosted by undersea technologies, many of them of considerable value to the military. Such technologies were originally developed for industrial use in resource extraction, especially oil and gas, using the considerable funds available for research and development (R&D). In Britain at the present time, any suggestion that the Trident replacement system may prove to be a non-starter is met with considerable opposition from defence sources, and not a little anger at the way the issue keeps surfacing, so to speak. What makes the case difficult for the the UK's ministry of defence, though, is the United States's speed in refining the technologies. Part of this is an extension of decades of work on anti-submarine warfare historically directed at the old Soviet Union, but the desire to stay ahead stems partly from the US concern over the rapid development of very quiet diesel-electric submarines, especially those with air-independent propulsion. Countries of concern obviously include Russia, but China is coming into the frame more and more, as are Iran and North Korea. The point that critics of Trident make is that if the United States is forging ahead in this field, then it is only a matter of time before the technologies spread and other countries follow suit. The argument is given added credibility by reports that China is now investing heavily in research in this area, hoping to create what is being called an “Underwater Great Wall”! The CSSC plan aims to offer "a package solution in terms of underwater environment monitoring and collection, real-time location, tracing of surface and underwater targets, warning of seaquakes, tsunamis, and other disasters as well as marine scientific research". 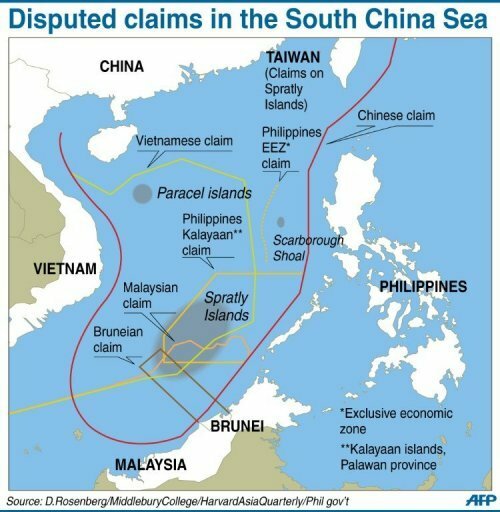 The primary intention is to enable the Chinese navy to extend its influence across the South China Sea by ensuring that submarines of other states can be detected and tracked. While Beijing's main concern is with the United States, it is also wary of a number of regional states. South Korea, for example, has more than 20 submarines, North Korea has around 70, Japan has 18, and Australia has just ordered a new fleet of 12 submarines from DCNS in France at a projected cost of $50 million. For most countries in the region, as well as the United States, China’s designs on the atolls of the South China Sea are seen as thoroughly expansionist; China itself intends to ensure depth in its regional protection. From Beijing’s perspective, a remaining concern is the vulnerability of its surface warships to submarines – hence the considerable interest in the "Underwater Great Wall". What takes this to a new dimension, though, is the CSSC's stated aim to develop an export market for the new ASW technologies. The speed China has shown in moving into aerial drones, both of the unarmed and armed varieties, suggests that it will make rapid progress in this new area of technology – and with few qualms about proliferation. For its part, the UK's ministry of defence may claim to be unconcerned by the prospect of the Trident system being no longer able to remain hidden in the depths. But the global trend is very much towards the oceans' increased transparency. That process is already well under way. How much further will it go over the twenty-year timespan for developing and deploying a new class of missile submarines? (see David Hambling, "Are Doomsday Submarines Doomed? ", Popular Mechanics, 28 March 2016). 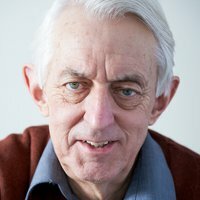 The 'final' decision may well be taken in the coming months. But it is highly likely that the entire programme will come under suspicion of obsolescence. As the costs mount, calls for a rethink even from centrist political circles can be expected. 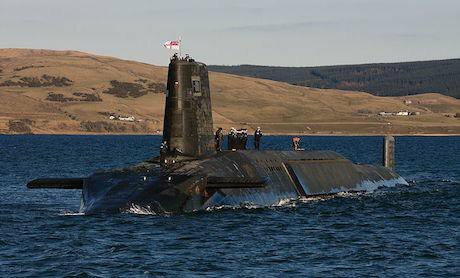 Whatever the current government should choose to think, the Trident successor project is simply not a done deal.